New Orleans loves to party. 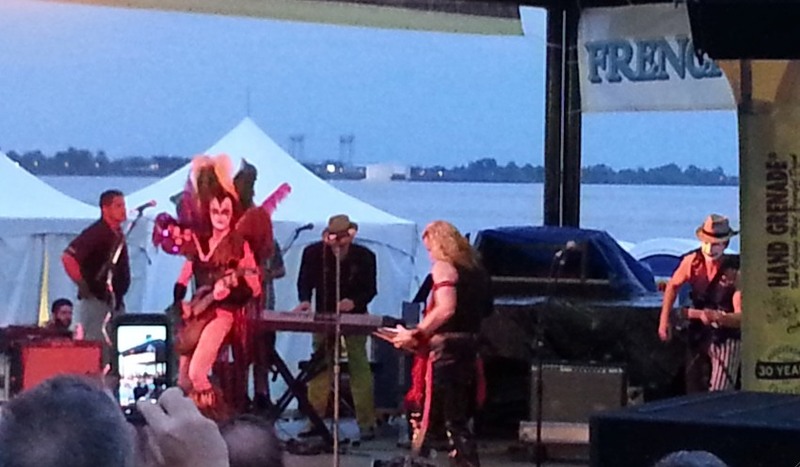 The Spring is the season for festivals, and there are loads of them, starting with Mardi Gras. Because we started and finished our road trip there, we experienced two weekends’ worth of fun and games. The first happened to be Easter, so we saw parade after parade, and bands walking around the streets. 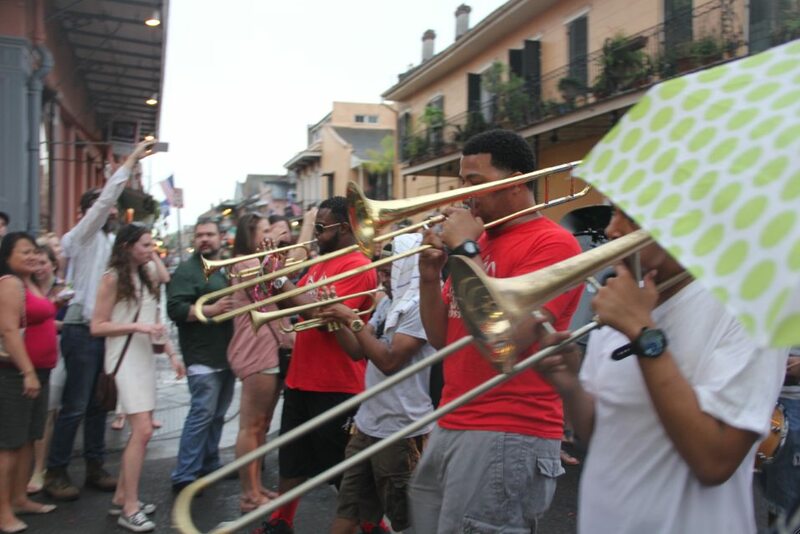 The second weekend was the French Quarter Festival – an excuse for four full days of free music. There were 23 music stages dotted around the area, including along the riverfront. We were there only on the Friday night, but we made the most of it. We found ourselves in the audience for the New Orleans-based band, Bag of Donuts, who were bonkers. As we watched, danced and cheered, paddle-steamers made their way along the Mississippi behind the stage. It was Max’s first concert, and it was great. He gave it 8.5 out of 10.